March 10th-17th marked Global Money Week, a worldwide celebration to empower the next generation to be confident, responsible and skilled economic citizens. 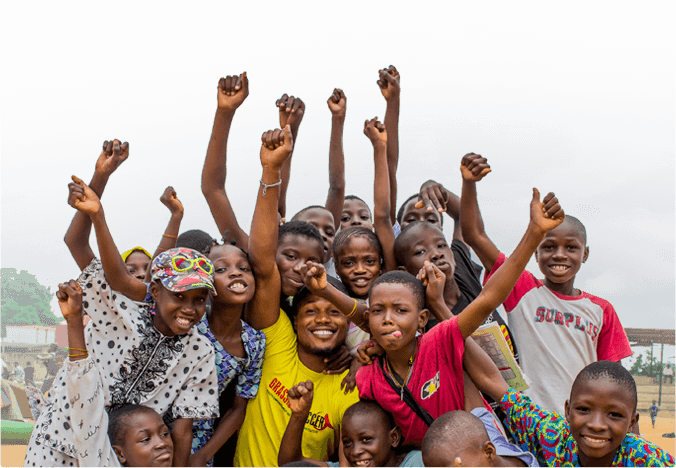 Coordinated by one of our partners, Child & Youth Finance International (CYFI), Global Money Week focused on the active involvement of youth in over 80 countries through 400 organizations, including Grassroot Soccer! The incorporation of financial education in our curriculum, as well as career development courses for Coaches, provided us with the unique opportunity to take part in Global Money Week and add new perspectives to the conversation. GRS Zambia Coaches Emmanuel Muyumba and Matilda Mwellwa chat with Mahmoud Mohieldin, the Special Envoy to the President of the World Bank. 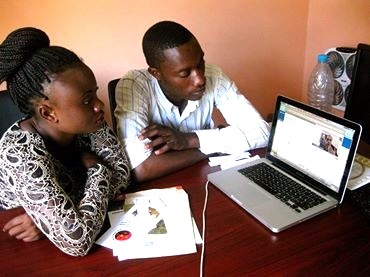 In Zambia, Coaches Emmanuel Muyumba and Matilda Mwellwa represented GRS in an international video conference call with Mahmoud Mohieldin, the Special Envoy to the President of the World Bank. On the call were eight other young people from across the world, including the Netherlands, Chile, and Egypt. The conversation concentrated on the World Bank’s post-2015 agenda, which aims to better serve youth populations. Coaches Emmanuel and Matilda brought their concerns about the financial capacity of Zambian youth to the table. Coach Matilda explained that financial independence remains elusive for many Zambian women, which contributes to many other challenges. “In our work with HIV, financial dependence is seen as a reason some women tolerate gender-based violence, which increases their risk of getting HIV,” she said. “Financial independence would offer girls and women more choice in their lives.” She was eager to know whether the World Bank had any plans that included gender-specific goals. Mr. Mohieldin confirmed that empowering women continues to be a major priority of the World Bank, and the unrealized economic potential of women and the importance of gender equality will be reemphasized in the post-2015 agenda. 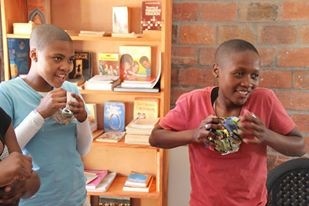 Coaches George and Athi with ragballs they've made as part of an entrepeneurial venture, Ragball Internationa. Meanwhile in South Africa, GRS Coaches who also play for Khayelitsha’s only all-girls soccer team, RV United, were engaging in another Global Money Week call. Before this year’s season Andiswa “George” Ndamane and Atipila “Athi” Sidondi were a key part of a fundraising initiative in which RV United partnered with Ragball International, an income generation project in which youth produce handmade soccer balls from recycled materials in exchange for a fair wage and entrepreneurial training. RV United sold their handmade ragballs to international buyers, with half the proceeds going to the team budget and the other half going to the individual players. The team then participated in financial education practices and learned about saving, spending, and how to make sound financial choices. For Global Money Week, Coaches George and Athi joined a call with the Secretary General of IOSCO (International Organization of Securities Commissions), Mr. David Wright, as well as youth from Turkey and Colombia, to discuss the importance of financial education in school curricula. Mr. Wright recommended that youth should always be fully aware of the conditions that banks apply when opening a bank account or when investing their savings into the stock market. The calls with Mr. Mohieldin and Mr. Wright and other youth from the international community provided stimulating conversations and a new platform to share ideas about financial awareness and empowerment among youth. The Coaches were honored and humbled to have the opportunity to become involved in the celebrations of Global Money Week.